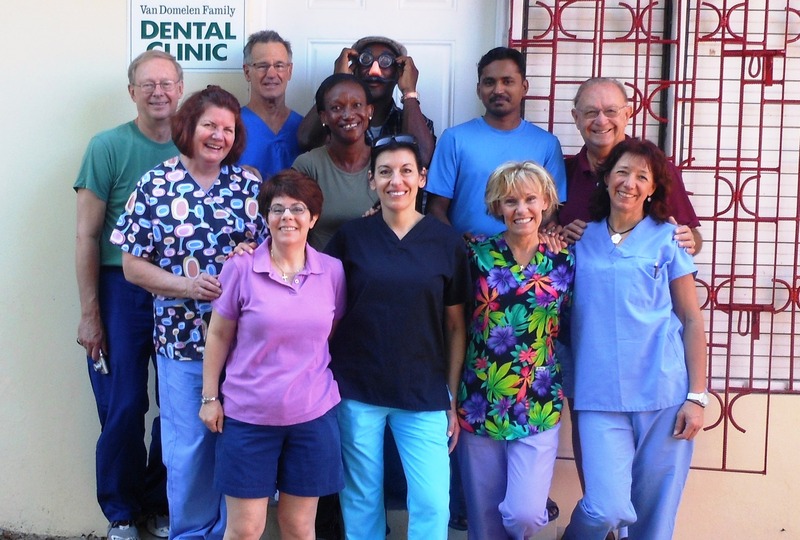 Roger Plante, JOP’s Dental Chairman, prepared this report on the July 2014 dental mission trip to the St. Pius X dental clinic in Kingston Jamaica. 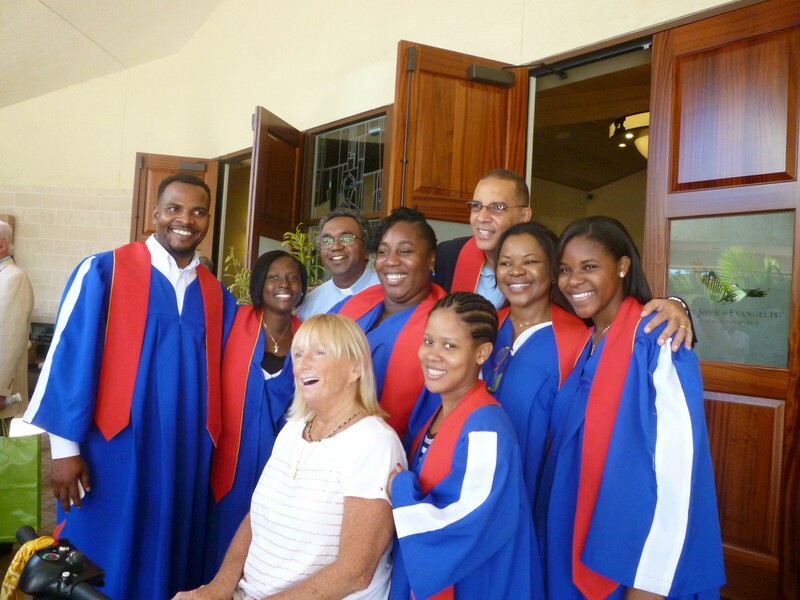 A group of dental volunteers headed down to Jamaica on July 23, 2014. After a quick stop at the market to procure personal items, the team headed right to the clinic to prepare for the following day’s work, and they were very busy unpacking supplies, setting up their work areas and in this case readying the new work station that was just installed (our fourth complete work station). Each time a team arrives it is necessary to completely sanitize the work areas; in this case the clinic had been inactive since our March mission. The group was housed at the Immaculate Conception hostel which was extremely safe and comfortable. This dental team consisted of: Dr. Eric from Macon, Georgia , Teri from Tampa, FL, Kruti from N.J., (who will soon be Dr. Kruti as she will be graduating from the dental program at Columbia University in NYC next month), Dental Hygienists Glenna from Tennessee and Sanibel Island, Roger Plante, group coordinator, Dr. Maria from Naples, who is a St. John the Evangelist parishioner, and Dr. Maria’s dental assistant Juana also from Naples. In addition, Jeanne Stamant who was at St. Pius to conduct her annual financial audit also joined in to lend a helping hand. Thanks to the support of a generous donor, hygienists and assistants were again blessed to receive assistance towards their travel and housing expenses. Each time I write one of these reports It boggles my mind to see how each volunteer group arrives, being from various religious denominations, from different parts of the country, from various ethnic backgrounds, yet they are all so filled with the enthusiasm to give and to help the lesser fortunate of God’s children; and this mission, and this team truly were no exception. Each day Father Raphael came to bless the mission group —–sometimes just putting his hand on each of their shoulders as they worked which created a warm feeling of God’s presence. Statistics for this mission are as follows: Cleanings 86, Extractions 64, Fillings 31, Number of patients treated 157, Number of treatments administered 281, Consultations 15, Students educated & screened 90, Number of patients placed in queue for September mission 54. A huge “THANK YOU” goes out to Doctors Maria, and Eric, to Kruti, Glenna, Teri and Juanita for their untiring devotion to the cause………when 6:00 p.m. rolled around it was so apparent they were hoping this might be the last patient, only to find out there were four more cleanings, two more extractions and three more fillings…….and when I suggested putting them on tomorrow’s schedule, they all refused and insisted on taking care of all of them that day. Once I got off the plane, I was overcome with emotion by what we had done. It was hard to hold back tears just thinking about how much we gave of ourselves and the difference it made to the people of Jamaica. I have never worked so hard in my life, maybe because the teeth were so difficult to get out. It was truly an emotional experience for me! I am still riding this rush that has come from helping those people and I feel like it has changed my perspective on life. Jamaica Outreach Program has more dental missions planned in the near future: September 10th through 4th, October 15-19, 2014, and November 19-23, 2014. Staffing for the November 2014 and March 2015 missions is complete, however we still need two dentists, and one assistant for the October mission (fully staffed with hygienists)…..we have many doctors nearly ready to commit for that and working on it each day. We are seeking a full complement for the January mission. For 2015, it is hoped that missions will take place in each of the odd numbered months of the year, and it is my hope that each team that comes agrees to continue their great endeavor on an annual basis….and so far it is working out that way. Again, Jamaica Outreach Program thanks all who have been involved with this and our other ministries. From its very beginning the Jamaica Outreach Program (JOP) has dedicated many mission trips to the eye clinic on the compound of St. Pius X in Kingston. Those trips are made possible through the service of the lay missionaries who visit there two or three times a year. The journey to improved sight is a long and involved process for those Jamaican patients who are in need of corneal transplant surgeries. This type of surgery is not available in Jamaica and therein lies an untold story about what the JOP does to make a difference in the lives of the people we meet at our clinics. In August 2013, while working at the JOP eye clinic in Kingston, Dr. Jeffrey Zimm identified nine patients who would benefit from corneal transplant surgery. Since then, four of those patients have come to Naples and benefited from the transplants with Dr. Zimm and his staff performing the surgeries at no charge and other out-of-pocket expenses paid by donor-sponsors (sometimes supplemented by the patient’s own fundraising efforts) . The process for these patients is a long one involving many people who help them along their way to a more perfect sight and a better life. When Dr Zimm identifies a patient who would benefit from a corneal transplant, the patient is then put on a priority list based on age and the severity of the problem. The need for a corneal transplant is usually from keratoconus (a corneal dystrophy), or infections causing scarring or trauma. Once the patient has been identified and the JOP has found a donor willing to fund the costs associated with the transplant, Dr. Zimm writes a letter to support the granting of a non-immigrant visa by the U.S. embassy in Kingston. The average out-of-pocket cost of a transplant is $ 5,000. Corneal tissue is $3,200 and visa applications, air flights, post-op prescriptions and surgery center fees account for the rest of the cost. In many cases host families are arranged by the JOP for our patients who generally come for a 10-day stay. During that time, a patient is placed with host families for three or four days each. The hosts provide shelter, sustenance, and transportation for their guests. 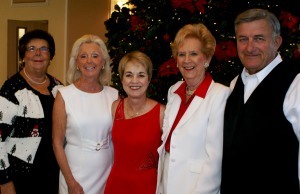 While in Naples, the patient undergoes a pre-operative exam, the surgery, and several post-operative exams by Dr Zimm. In our dealings with Jamaicans, we have been impressed with their graciousness, patience, and gratitude. The entire surgical team is also impressed by the dedication of the JOP and its commitment to the eye care mission. We are fortunate to work hand in hand with them. Anyone interested in serving as host for a future corneal transplant patient or interested donors are invited to contact us through this website. 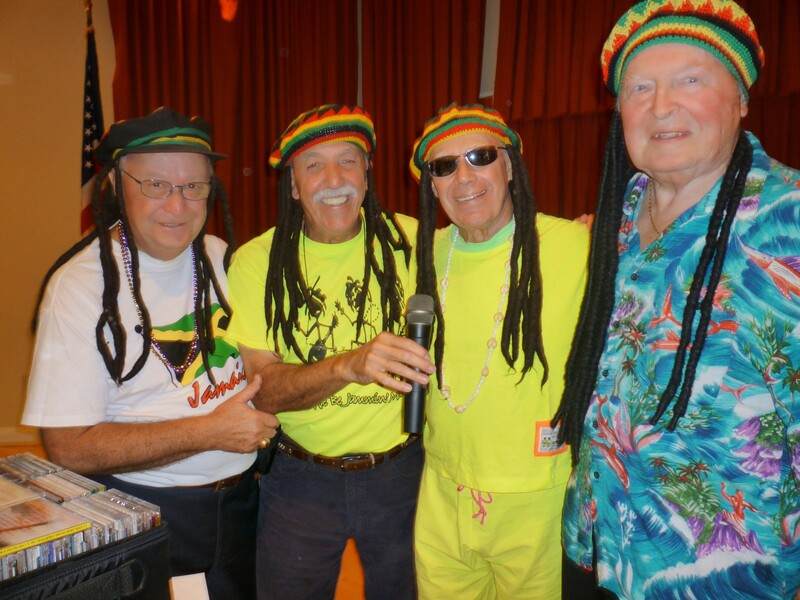 The Jammin’ for Jamaica Festival held February 7 was a great success. Fun and joy were reflected on the faces of attendees as they enjoyed fine food and drink and got great deals in the Treasure Chest, Silent and Live Auctions. Cappelli’s Catering served the delicious main entree to175 people in 25 minutes! Volunteers from Kohl’s Department Store in Naples contributed time and talent which will result in a $500 grant to JOP for education programs. Melody Merrymaker the clown made balloon hats and painted faces adding another element of fun to the casual and festive evening. Attendees danced the night away to the happy sounds of DJ Bob Cox. Thanks to all the committee members, volunteers, donors and participants who made this a memorable evening to benefit JOP. It was a barrel of fun and raised $12,000 for the poor in Jamaica. Jamaica Outreach Program needs dental professionals to volunteer for upcoming mission trips to Kingston, Jamaica. We have a group from Atlanta, GA in place to conduct the September 10, 2014 dental mission trip, and a Springfield, MA Dental professional has come forward and agreed to organize and head up the November 19th. mission. At present, we are half staffed for the July 23 mission trip and still in need of one dentist, one assistant and two additional hygienists. The October 15th mission has a few hygienists and assistants offering their services and we are always looking for dental professionals to staff our future missions. If any of you know of other dental professionals (family, friends and acquaintances) anywhere in the US who might be willing to give of their time and energy for this service, please refer them to me, Roger Plante, for follow-up. Many will be needed to make future missions a success. (rogerpsold@gmail.com – 239-948-2145). Our dental team consisted of professionals from Massachusetts, Montreal, Canada and Florida. They came to us through the grace of God and a little networking on our part. Each of them worked tirelessly day after day to get the job done and at the end of the third ten hour day, they were still smiling (although very tired) and enjoying every minute of their venture. They worked through brownouts, faulting equipment, and never lost their enthusiasm. Interaction with the local Jamaican residents was incredible and the warmth of the smiles combined with the gratitude of the patients made it a highly rewarding endeavor for our volunteers. In all 127 patients were treated. (76 full cleanings, 26 fillings, 42 extractions, 10 surgical procedures plus 11 consultations which resulted in referrals to oral surgeons etc.) Many received free medications for infection and pain, all received dental kits consisting of brushes, paste and floss donated by the missionaries. Unfortunately, many had to be referred to our next dental mission because of our inability to handle the need. All in all, we were rewarded by many smiling faces leaving the clinic. In addition to the actual treatments, our hygienists conducted three educational sessions in the DuPont Primary School auditorium consisting of basic introduction to dental hygiene, teeth checked for treatment needs (11 treated immediately and 50 at a future date), and handing out toothbrushes, toothpaste and other items. Approximately 308 students were involved and the sessions were very dynamic and extremely interactive. See mission trip photos here. Photos are limited because the Jamaica Ministry of Health no longer allows photos in health facilities. It has been almost a month since we returned home from Jamaica. Hardly a day goes by without thoughts of the St. Pius experience. It was a wonderful time with Jamaicans and Americans working hand in hand to give caring, hope and the gift of sight to those less fortunate in the St Pius Community. The day could not have started out any better with an excellent mass by Father Thomas. The ride back home (the convent-hostel where we stayed) at day’s end stands out with that good feeling of tiredness that comes with knowing that everybody gave all that they could. It was after we were physically and mentally drained that we could experience the simple joy of doing God’s work. Thank you for allowing me to participate in this wonderful time. I hope to make more trips in the future. -Tom K.
If anyone has ever considered volunteering for a dental mission I would highly recommend not thinking about it and just going. That’s what I did. I received a phone call from my good friend, Lois, a dental hygienist, asking me if I would like to accompany her on a mission to Jamaica. Without any explanation or hesitation I responded with an immediate YES! And that’s when it took on a life of its own. We were now in the hands of an extremely kind, compassionate, determined and persevering man, Roger L. Plante, Dental mission coordinator for JOP-Jamaica Outreach Program. Joining us all the way from Montreal, Canada was Marc, a dentist who came out of retirement just for this mission and another hygienist Kathy from Massachusetts. We were in need of one more dentist. I went into work the following week and spoke to my doctor about the mission and without even a second thought he said yes. With Dr. John on board all that we needed now was a dental assistant. I telephoned a former dental assistant friend, Donna and before the call ended she committed herself to the mission knowing that she was going to be paying well over what we paid for her flight because of it being last minute. People like Lee, from Florida who doesn’t know a thing about a dental office, never mind dentistry came along to be an extra person to lend a hand. But these types of people are what make up a mission and I can guarantee you’ll be a changed person when you return back home. Or at least your outlook on life will be changed. The JOP mission headquarters are located in Naples, Florida. The mission statement is as follows: If you ever have wanted to make a difference in the lives of God’s poorest and most needy Children, here is your opportunity. You can follow in the footsteps of many of your peers in joining us on a three work-day mission trip to Kingston, Jamaica at which time we hope to see some 150 needy patients of all ages, most of whom have never received any type of dental care whatsoever. And let me tell you we came nearly close to seeing that many people in the short time that we were there. Between dental cleaning, restorations and extractions we saw 40 patients the first 2 days that we were there and 45 patients on the last day. The days are full and non stop but that’s why you’re there. You lend a hand wherever it is needed without question. Just when you think that you can’t see another patient all that you have to do is go to the front desk and look out into the waiting room into the eyes and faces of these beautiful, innocent children and patient adults and your energy is restored. Some of these patients have waited years to be able to come to the clinic, saved whatever money they could to get transportation to the clinic and probably borrowed the $5.00 that’s asked of them to cover the cost of their dental visit whatever that may be. Their happy faces and the gratitude that these Jamaican people show to you revives and rejuvenates you allowing you to get up and do it all over again the next day. We can even forgive Rosemary, who works at the front desk for squeezing into the schedule 10-15 patients each day! After this mission, I believe our Montreal dentist, Marc was headed straight back into retirement. I have heard many stories and listened to the descriptions of the working conditions at the facilities that many dental personnel have been to in various countries. This dental clinic was an actual building with a roof, doors, bathroom, front desk, waiting room and a break room. The clinic is 5 years old and has air conditioning, three rooms with full chair units, an x-ray unit and perio pro developer, an autoclave, and an(intermittently working) cavitron. Yes, we had to work around the compressor shutting off, loosing electricity, power and water to the units. But what the heck, isn’t that what goes along with being on a mission? We were fed very well and bottled water was at a constant supply. The clinic would not run as it did if not for the help of our now very dear friend, Boxer. The go all, be all, fix it man and if he can’t will find someone to fix it and fast. A local man who grew up right around the corner from where the mission grounds are located, turned his life completely around from being a bare knuckled boxer to Roger’s trusted right hand man. The sleeping accommodations were at a nearby Hostel complete with an Olympic sized swimming pool which was great for using and relaxing around after our long and rewarding days. It is very safe and surrounded by a fence and barbed wire with a gate keeper and guard dogs on the premises. The hostel used to be a hotel but now it serves as a hostel and a convent. The grounds are well manicured with beautifully colored flowers. Within the fenced in yard is a school and a nearby church. There is van just for us and a dedicated driver, Felix, who drives the crew to and from the mission and anywhere else in-between. Because the clinic is located on school grounds, as part of the mission, Roger asks the hygienists to do dental screenings on the school children in the school auditorium. You basically look into their mouths with a mirror and flashlight; yes it came in very handy, and record what needs attention. The children are so polite, soft spoken, shy, well behaved and attentive. On this particular day, the children were scheduled for early release. I had already screened one classroom of 12-13 year olds. I asked the teacher if there were more classes of that age group and she said yes, but little did I know how many more! I told her that I would stay and see 20 -30 more children. Well, one and ½ hours later I screened close to 190 children! Where did they all come from? I was just glad that we had enough toothbrushes and prizes to go around. At the end of the day, each person from our crew had different stories to share about their days patients. This one particular woman came in concerned about her discolored tooth thinking that it needed to be extracted. She was obviously worried and dentally conscientious. After cleaning her teeth, educating her with home care instructions and assuring her that her tooth did not need to be extracted, she proceeded to remove her earrings and necklace and graciously give them to me. She was so grateful for the time that was given her explaining how to take care of her mouth. Dr. John asked one of the children if he was going to place his extracted tooth under his pillow for the tooth fairy. Well, giving that we are in the poorest part of Jamaica, there probably isn’t a pillow for a tooth to go under! What they do instead is throw it on the rooftop. The primary tooth is referred to as a milk tooth. If you’re lucky enough, you might get to do an extraction like I did. One patient was so thankful that he came back to give the doctor a bottle of Jamaican wildfire rum. Back to the olden days of payments made with a cow or a goat! All in all the stories are different but the same. A mission is what you put into it and believe me you get so much more out of it. Just show up. If anyone is interested in going on this mission, here is the contact information: rogerpsold@gmail.com. You won’t regret it. As a matter of fact, we are planning on returning next year.